How to reduce VFD controlled motor noise? Home » FAQ » How to reduce VFD controlled motor noise? For many variable frequency drives (VFD), harmonic switching noise can be coupled out of the variable frequency drive power input into the building power wiring. Once harmonics are coupled into the building power, they can appear on sensitive equipment throughout the building. This problem may be made worse by a variable frequency drive with a poorly designed input filter and a small number of switches between the input AC and the DC link. 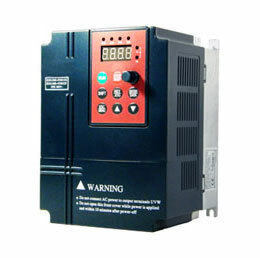 Incorrect grounding of the motor to the variable frequency drive will allow the system to act as a noise transmitter. I suggest a slightly different grounding method to eliminate the noise problem. An appropriately sized grounding conductor installed in the same raceway as the phase conductors with one end terminated in the motor doghouse and the other end terminated at the grounding terminal of the variable frequency drive. Splices or compromises in conductor integrity are NOT allowed anywhere along the length of this conductor. Bonding of enclosures along the raceway to the motor should use a separate grounding conductor which is used in a typical fashion. The variable frequency drive then needs another grounding conductor back to the power source. After this grounding activity is completed the only other item that may need changing is carrier frequency. Large variable frequency drive driven motors are usually easier to quiet down than the small fractional ones. 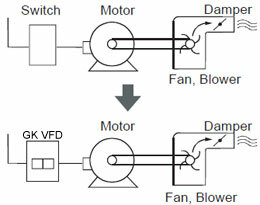 To reduce the VFD-controlled motor noise it should be to increase switching frequency if the cable length between the motor and variable frequency drive is short. 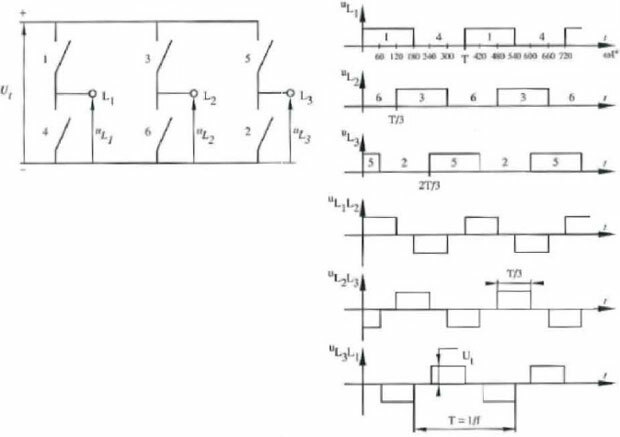 But If the cable long and there is noise it should be to install du/dt on sine wave filter and make the switching frequency according to the filter specification. An appropriate filter on the variable frequency drive power inputs, designed to eliminate input switching harmonics resulting from the variable frequency drive AC to DC input switching, may help eliminate the problem. It may be less expensive and easier to place the audio equipment on some form of filtering, like a true double conversion UPS, which would significantly reduce the variable frequency drive (and any other source) harmonics from the audio equipment. A dV/dT filter smooths the VFD outputs waveform greatly because the primary component in the filter is an inductor. The filter might be a bit noisy, but the motor will be quieter. Because a dV/dT filter or a sine-wave filter are LRC (inductive-resistive-capacitive) circuits, the VFD carrier frequency needs to be fixed at a point or span that will not cause resonance in the filter circuit.